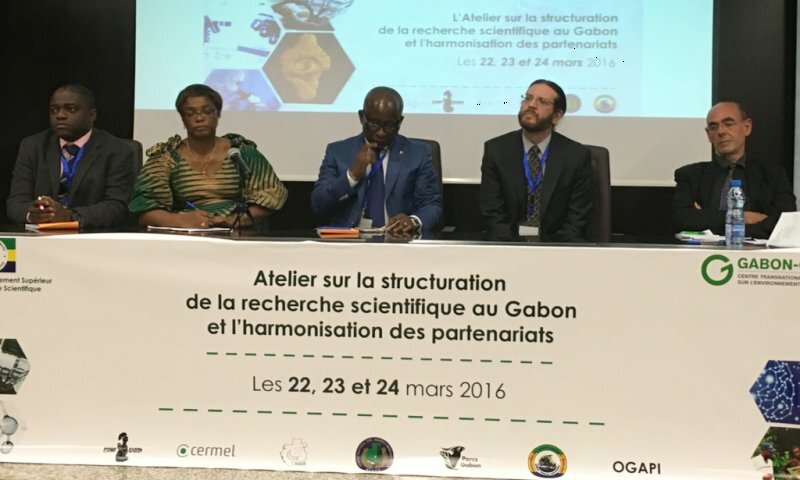 Organized by the Ministry of Higher Education and Scientific Research, the workshop about structuring of Scientific Research in Gabon and the partnerships harmonization has been in Libreville from Tuesday, march 22nd to Thursday 24th, 2016. The set target for this workshop was to establish a framework for problems involving by Scientific Research in Gabon, in terms of impacts of Research on Gabonese development, national and international partnerships, and public research organization and structuring by the way of a participatory approach including researchers from different research institutes, universities, organizations and ministries which product and use scientific knowledge. The CERMEL has participated in this meeting as the Scientific Committee member with two senior researchers, Dr. Marguerite Massinga Loembe and Dr. Ghyslain Mombo Ngoma, and also two CERMEL co-directors, Dr. Maxime Agnandji Selidji and Dr. Ayôla Akim Adegnika. The last one, as focus point, has made a presentation on external financing of the research in exchange for national counterpart such as the EDCTP program (European Developing Countries Clinical Trial Partnership) which involves Gabon.